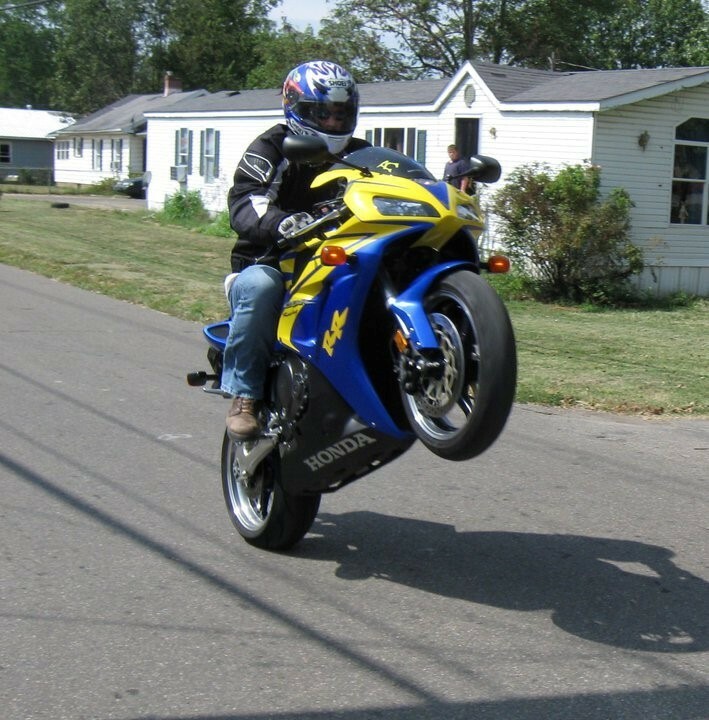 Question of the Week: What Do You Mean By “Custom Design”? What Do You Mean By “Custom Design”? Anyone who has ever visited our website, (www.mikeslaseretching.com), will have seen that we frequently mention that we offer “Custom Designs” and “Custom Monuments”. So, what do we mean by this? The best way to explain this is by showing you some examples of custom designs and monuments we have created for our clients. 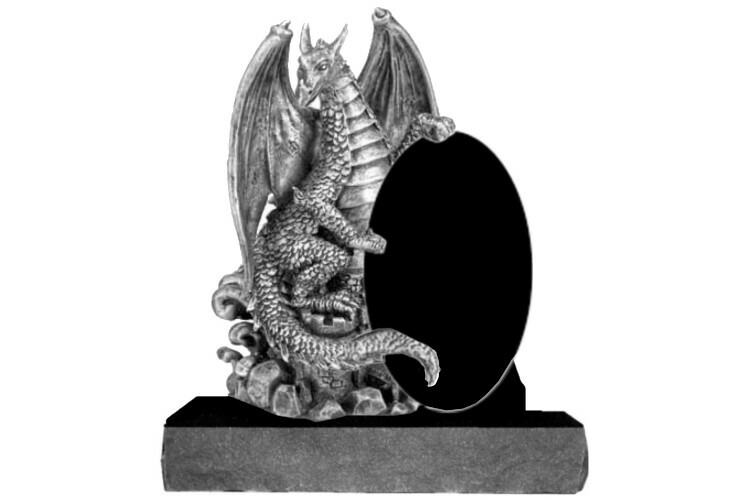 With the purchase of most of our monuments*, a custom design on the front of the monument is included. With a flush or bevel marker, there is only one side visible once the marker is installed in the cemetery, thus a custom design can be placed on this side of the marker. In the case of an upright or slant monument, a custom design can also be added to the back of the monument for an additional charge**. As you can see, we made several changes in order to create the final look the client was interested in. 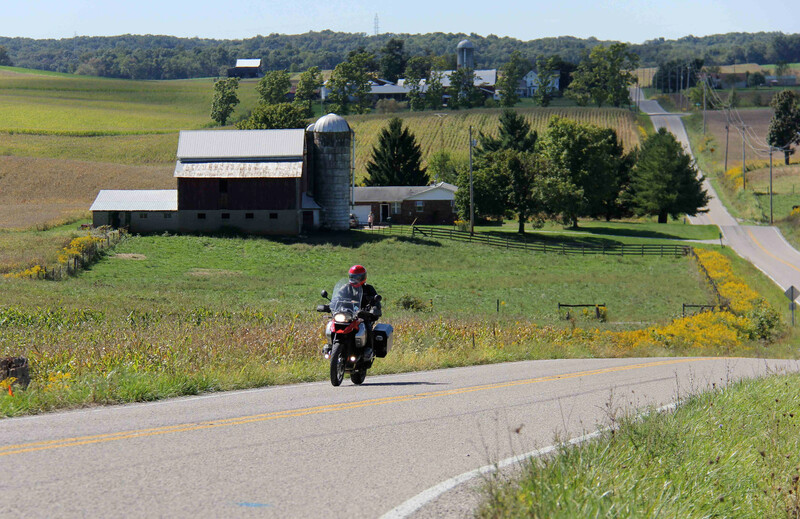 The background scene is a picture we found of a back road in Ohio, which is where our client is from and where Mr. Stanley often road his motorcycle on roads such as these. However, in order to use this image, I had to remove the person in the image riding a scooter. After doing so, we placed the image of Mr. Stanley in the background, adjusting the size and flipping it the opposite direction in order to ensure that it looked natural. We also added a slight shadow beneath the motorcycle, which also ensures the natural look of the image. These are just two examples of custom designs that we have created for our clients. 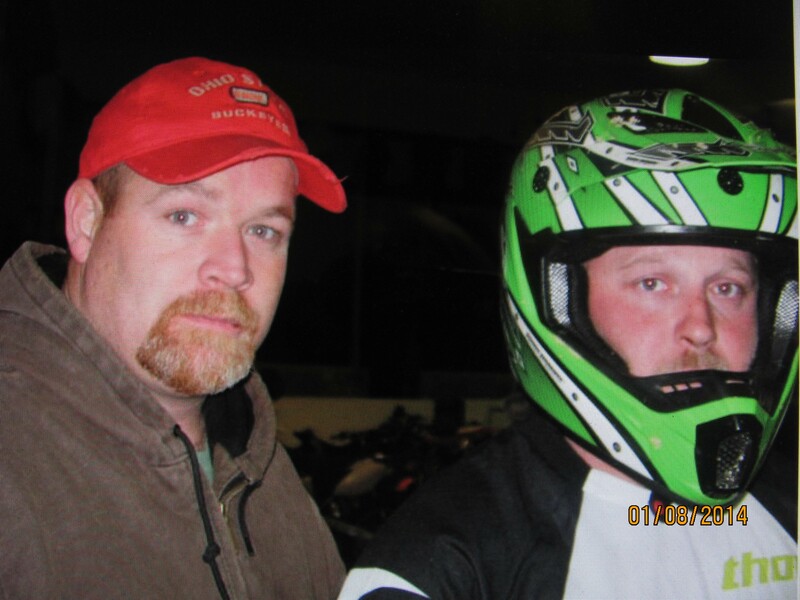 Each of the representatives at Mike’s Laser Etching/ Sartin Memorials are certified Graphic Artists. With the technology now available to us, we can create just about anything our clients are looking for. There is no better way to honor your loved one than to create a unique and personalized monument to be placed at their resting place. 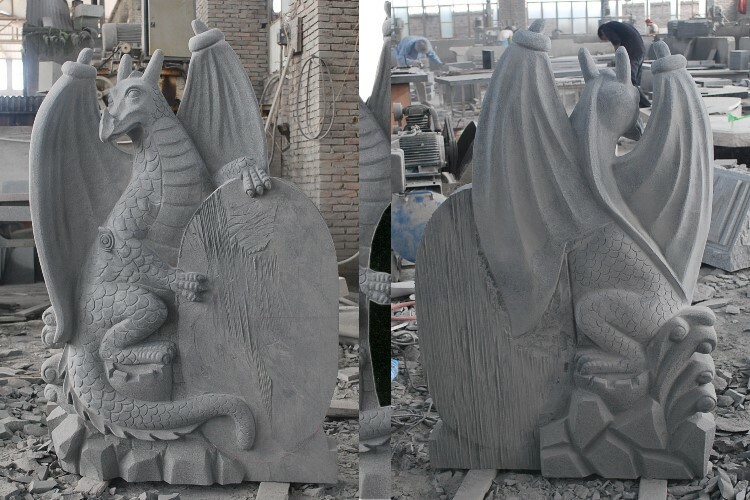 In addition to the custom designs we are able to create for monuments, we are also able to create a completely custom monument. We are able to do this, while still charging a reasonable price, because we work directly with the quarries and granite manufacturers. It is because of this direct relationship with them that we are able to work with our clients to create a sketch of the design they are looking for, and forward it to the granite manufacturer with the exact dimensions. The monument is then created and shipped out to us. Once it arrives at our shop, we then add the names, pictures and any designs that the client has requested. This is the concept created by our Graphic Artists, using the information the client had provided about what she was looking for. Once the client had approved the concept, it was forwarded to the manufacturer, along with the dimensions, to be created. The dragon in the process of being sculpted. The finished monument, after we had etched the image, name and dates. The front and back of a custom butterfly monument. 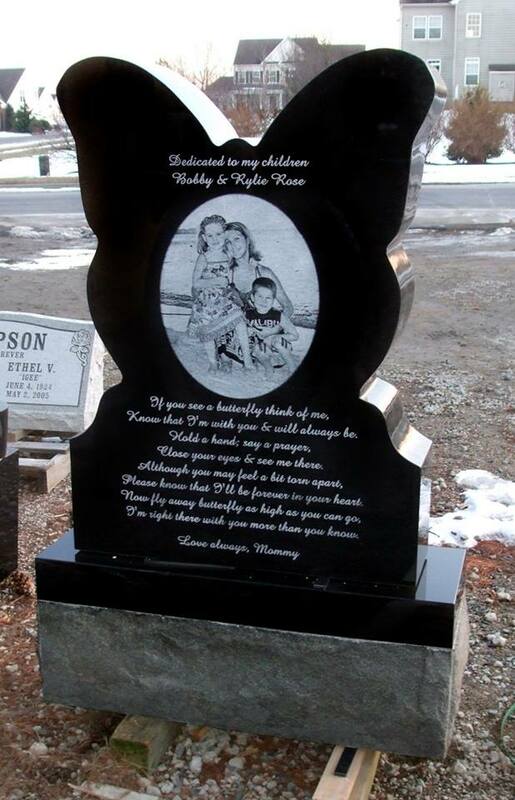 For more information on ordering a custom monument or a monument with a custom design, visit our website at http://www.mikeslaseretching.com, email us at info@mlestones.com or call us toll free at 877-836-0332. 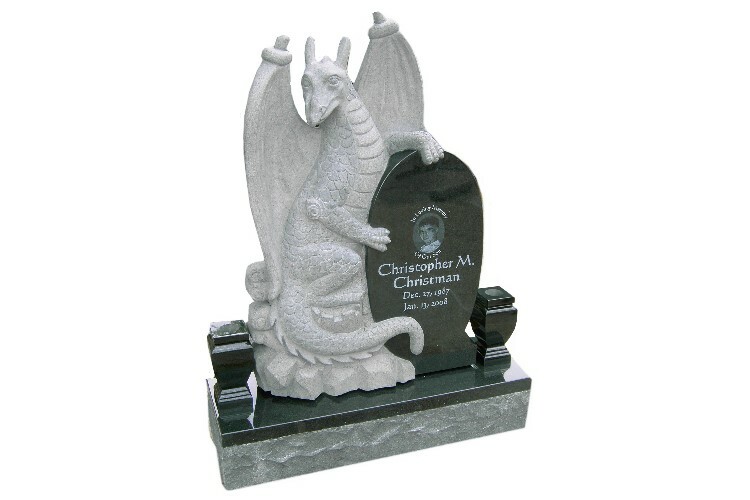 *Our clearance monuments do not include custom designs in the cost of the monument. 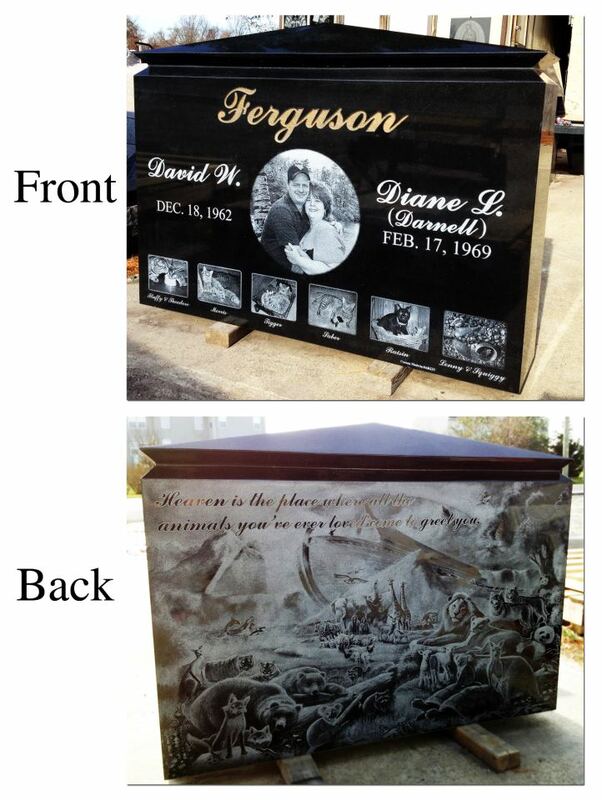 **Please contact us to discuss the addition of a design to the back of a monument. 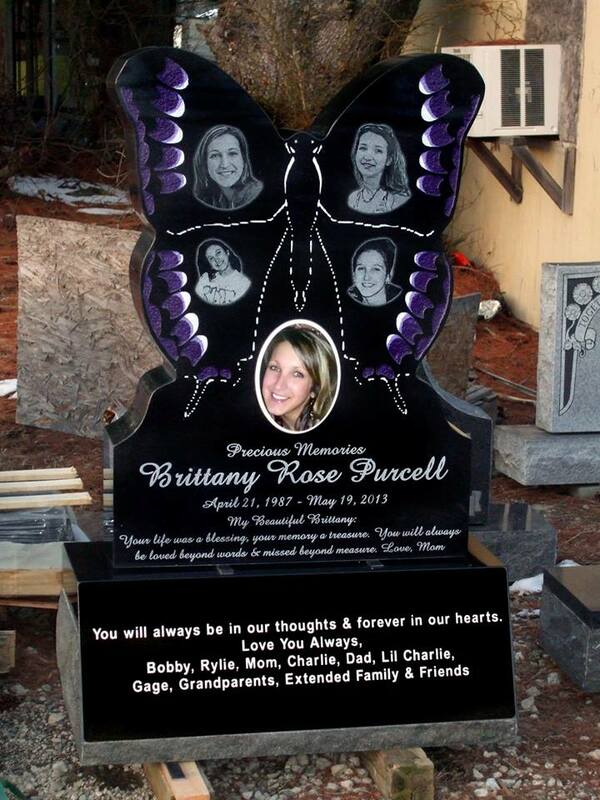 Can you give me an estimate on the butterfly headstone for Ms. Brittany Purcell. I would love to have that for my Mom. Hello Vence, I will be emailing you at the email address you provided when posting your comment to provide additional information on the PURCELL Butterfly Monument. Please be sure to check your bulk or spam folders if you do not see the message within a few moments.